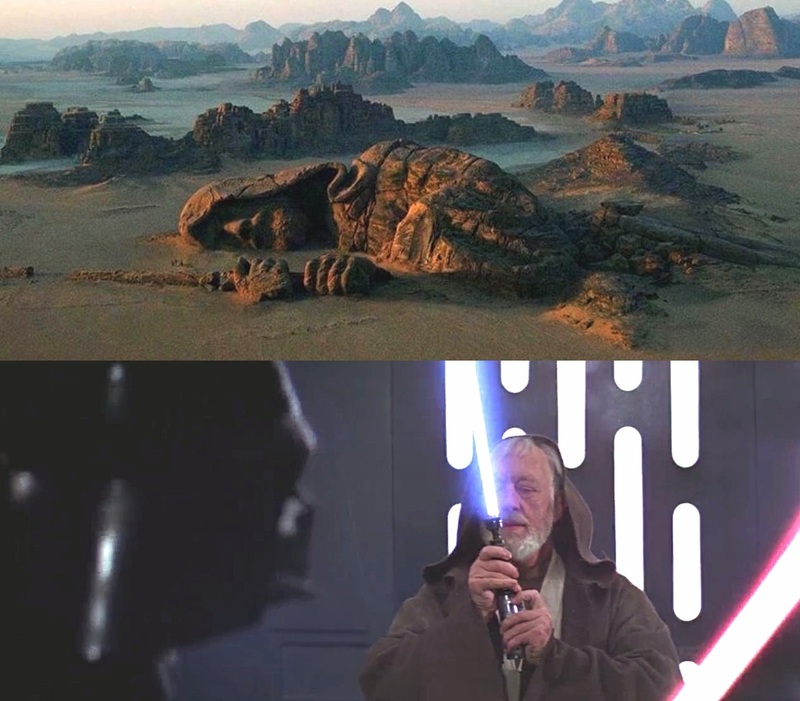 After watching for the nth time Star Wars: Episode IV – A New Hope, it looks to me that Obi-Wan Kenobi, just before he sacrifices himself in the lightsaber duel with Darth Vader, assumes the same pose of the giant fallen Jedi statue in the desert planet of Jedha in Rogue One: A Star Wars Story. Am I right or is it just me? Obi Wan was simply focusing himself to become one with the Force. We know that Vader's strike didn't kill Obi Wan. It's also possible that the position is related to becoming a Force Ghost, but that seems unlikely as few Jedi seemed to know about it. 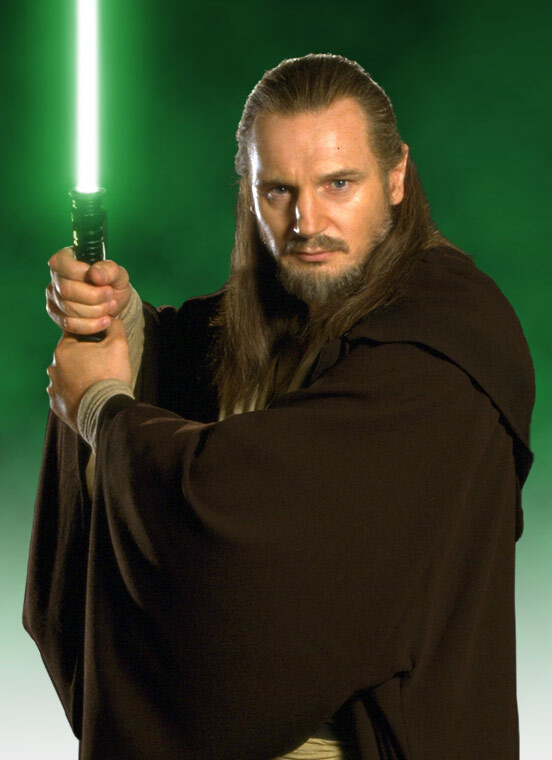 Ataru was a form of lightsaber combat practiced by Kenobi's master Qui-Gon Jinn, and other prominent masters like Yoda. Kenobi himself used this form, then switched to Soresu during Clone Wars, and then back to Ataru much latter in his life on Tatooine, in a duel vs Maul . Ataru was favored form of Jedi Order during the age between disappearance of Sith and Clone Wars (Golden age of the Republic). In that time, Jedi were peacekeepers that used weapons against single or small groups of non-lightsaber wielding opponents. They needed form that could quickly overwhelm those opponents, and Ataru with its acrobatics and heavy reliance on Force was preferred method. Latter in clone Wars, Jedi were tricked into again becoming warriors, and Ataru was unsuited for a fight in vast battlefields against numerous opponents (CIS droids). Kenobi's switch back to Ataru in his late years has deeper meaning - his refusal to wage direct war against Empire, thereby furthering suffering and strengthening Dark Side. 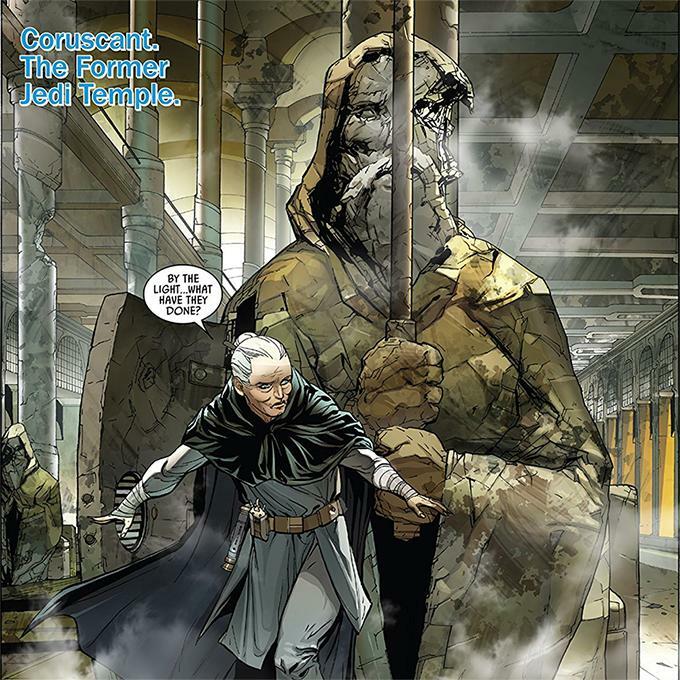 Instead, he choose to deepen his connection with the Force, becoming peacemaker and peacekeeper once more like all Jedi should be. In this way, Ataru transcends lightsaber combat form and becomes philosophical outlook on life - Jedi are peacekeepers and guardians, therefore they are honored as such with statues on Jedha . Not the answer you're looking for? Browse other questions tagged star-wars a-new-hope rogue-one obi-wan-kenobi or ask your own question. At what point did Obi-Wan Kenobi know that Darth Vader was on board of Death Star?